The petition outlines a series of serious allegations regarding the HPV vaccines Gardasil® and Cervarix®. Petitioners Kalpana Mehta, Nalini Bhanot and Dr. Rukmini Rao reported that the two HPV vaccines were illegally brought into the states of Andhra Pradesh and Gujarat and subsequently administered to thousands of young, vulnerable Indian children before the vaccines were known to be safe. The three Petitioners told the court that even though the Indian government and the above organizations knew the HPV vaccines were of dubious value and of speculative benefits, they continued to allow a trial using both the Gardasil® and Cervarix® vaccines without regard to the potential endangerment of the lives of adolescent girls. The petition outlined how the above organizations vaccinated tens of thousands of vulnerable girls aged between 10-14 years and then abandoned them without providing any information on potential adverse reactions, scheduling follow-up examinations, or offering post-vaccine treatment. These vaccines had not been assessed with respect to safety and efficacy for the Indian population where adolescent girls are overwhelmingly anemic and malnourished. No steps were taken to ensure the health and safety of the girls. They were not screened adequately for contraindications. On the contrary, they were told that the vaccine had no adverse effects, not even those that were acknowledged by the manufacturers. Referral and treatment of serious adverse effects was not planned and as a result, private doctors and government hospitals were not aware that the girls coming to them in serious condition were subjects of vaccine trials. No monitoring of the program was done. No course correction was made. After vaccination, the girls were dumped with no follow up. The short (2-3 years) post marketing surveillance periods of these vaccines do not permit final assessments of possible rare or long-term adverse effects. All girls were vaccinated by the U.S.-based NGO (Non Government Organization) and PATH (Program for Appropriate Technology in Health). Some of the girls died. Some suffered serious adverse effects. Some of the girls developed autoimmune diseases that would require lifelong care. The manufacturers themselves acknowledged adverse events such as anaphylactic shock, seizures and paralysis, motor neuron disease, blood clots, eye, ear and vascular problems and even death, and problems affecting the nervous system, the immune system, the musculoskeletal system, the blood and lymphatic system, the respiratory system,the gastrointestinal system and the vascular system. In the PATH project, these adverse events were grossly under reported and hidden. Records were falsified. Deaths that took place were stated as having nothing to do with the administering of the vaccines and were described as deaths due to suicides, insecticide poisoning and snake bites. The dates of postmortems were poorly documented and inaccurate and instead of being written on hospital stationary many had been written on plain paper without signatures. Even a government appointed inquiry committee found gross irregularity with the consent process. Indian law provides for compensation for violation of the informed consent procedure in addition to the compensation for death and injury suffered by trial subjects. However even after two years the government has failed to act on its own inquiry. This inquiry committee also noted that by taking vaccines free of cost from the manufacturers, the project was mired in conflict of interest. It also took strong exception to PATH ensuring itself for the project but leaving the girls uninsured. Since the petition was submitted, yet more information on the similar plight of girls in Australia has come to light. The Sunday Telegraph has published a story, first reported in the British Medical Journal, of a previously healthy 16 year-old girl whose premature menopause may be linked to the Gardasil® vaccination. As the female hormone levels of estrogen and progesterone decrease during the premenstrual phase, the female body begins the process of releasing the uterine lining in the act of menstruation. The decrease in hormones actually affects a woman’s energy levels and her emotions. The immune system becomes more compromised, and that translates to a lowered defense system to fight off invading, foreign toxins. 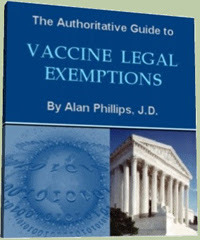 There has been no evidence to suggest that any of the above crucial issues were ever considered by any of the organizations involved in these vaccination trials. Many of those vaccinated were children who had not even reached puberty and as yet there is no way of telling if this vaccine has affected their future fertility. Three women in India have brought the world’s attention to the unethical procedures that they say have been carried out by pharmaceutical companies, the Gates Foundation and governments around the world. The Supreme Court of India should be lauded for hearing their case. What we are witnessing is a historical event. It is rare for lay people seeking justice to protect the innocent to be given the opportunity to be heard by the greatest court in their land. The rest of the global community needs to watch, and support these brave women. This could potentially set a global precedent and in my opinion finally put an end to the medical experimentation of the innocent, the uneducated and the misinformed. As we await the outcome of this hearing, I believe we need to ask these important questions. How were 24,000 young girls allowed to be vaccinated with a trial vaccination, without being given any information on potential adverse reactions or follow up appointments? How can PATH justify their actions when informed consent had not been granted? Where is the truth – where is the justice? I feel that it is time that the organizations involved made a public statement to the world. Christina England is a mother who was accused of Münchausen syndrome by proxy (MSBP) and is an investigative reporter for American Chronicle and The Weekly Blitz. Her gut-wrenching experience has led her on a non-stop quest into the correlation between such diagnoses as sudden infant death syndrome, shaken baby syndrome and Münchausen syndrome by proxy and to aid the parents doing time around the world for their presumed abuses. With hundreds of expert doctors in tow, the truth is slowly rearing its head. 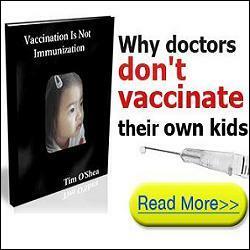 Christina is author of a new and extensive list of articles on the subject of misdiagnoses of vaccine injuries. Be the first to comment on "Supreme Court Suit Filed over HPV Vaccine Tragedy in India"